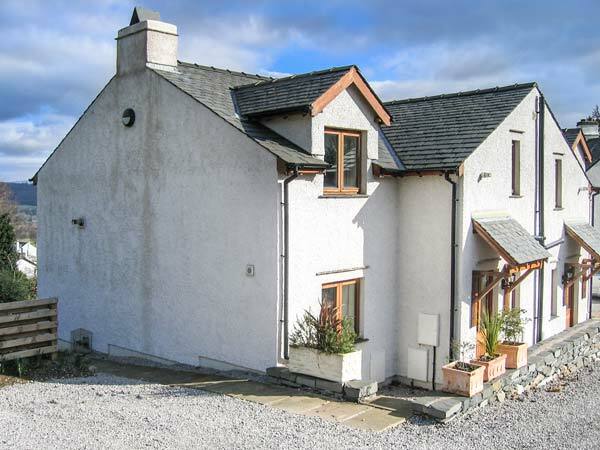 Low Dow Crag is a lovely ground floor apartment set within a semi-detached house, 0.8 miles from Coniston. This apartment sleeps two people and has a double bedroom, a bathroom, a utility and an open plan living area with kitchen, dining area and sitting area with a gas stove. Outside there's off road parking for one car and a patio with furniture and barbecue. 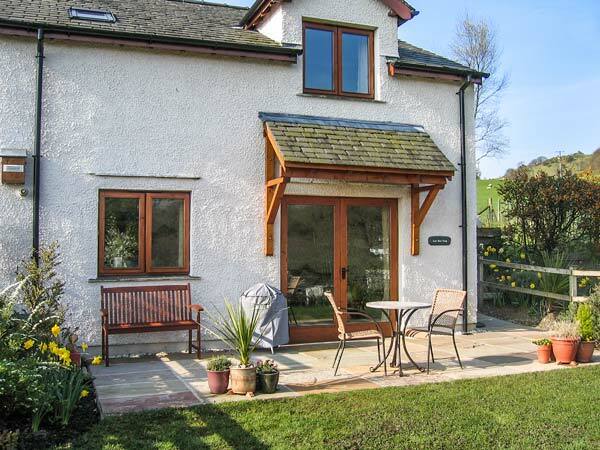 There's walks from the door and many attractions within easy reach making this an ideal base for exploring the area. All ground floor. One double bedroom. Bathroom with bath, shower over, basin and WC. Open plan living area with kitchen, dining area and sitting area with gas coal-effect stove. Utility. Gas central heating with gas stove. Electric oven, gas hob, fridge, washer/dryer, dishwasher. TV with Freeview. Fuel and power inc. in rent. Bed linen and towels inc. in rent. Off road parking for 1 car. Patio with furniture and BBQ. Sorry, no pets and no smoking. 5 High chairs available. Shop 12 mins walk, pub 10 mins walk. Note: This apartment is suitable for adults only.